In the year 2003, around 1.5 million aged 65 and above lived in nursing homes, and about 20% of the deaths reported that year were due to harsh falls. Nursing homes with about a hundred beds report approximately 100-200 falls each year. Almost half of all patients living in nursing homes at least fall once a year; some even fall twice or thrice per year. These falls hamper the patient’s quality of life and often make him irritable, depressed and helpless. On 14 February 2013, a female patient was admitted to the Westchester Manor at Providence Place in High Point after experiencing a stroke; she was also suffering from dementia. Her name has not been identified yet. The woman fell in her room on 14 March 2013; she was trying to go to the bathroom and as she was not assisted by a nurse, she could not handle herself properly and fell on the floor. She was found by a nurse a little while later, who didn’t report that incident to a doctor immediately. A few days following her sudden fall, the patient was evaluated. The nurses started noticing changes in her including anxiety and nervousness, which is why she was taken to a hospital on 23 March. Her brain was scanned in the hospital and the scan revealed that she had a subdural hematoma that made her brain shift in a manner that exerted a lot of pressure on the brain’s stem. She stayed in the hospital for some days and eventually passed away on 28 March 2013. Had the woman been assisted by a nurse while was going to the bathroom or if the nurse had reported her fall to a qualified doctor on time, the woman could have been with her family right now. The CEO of Providence Place, Tom Higgs stated that the nursing home is known for providing excellent patient care since a long time and he believes that there are two sides to this story. No matter what Higgs says, people will be hesitant in leaving their loved ones in this nursing home now. 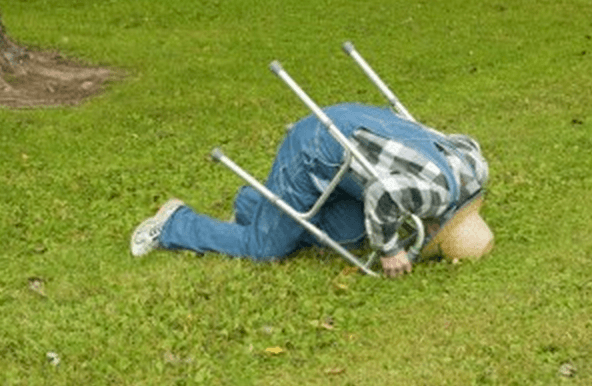 Why Nursing Home have Poor Post-Fall Care? The staff members including the nurses have a habit of wandering aimlessly and skipping their duties, which is why patients are often left unattended, and when they are unattended, they start doing things on their own and eventually end up falling. Secondly, nurses often do not read the patient’s charts after falls and do not report the fall to the concerned doctor on time; this careless attitude aggravates the injuries of the patients and results in their death.